A mythic and emotionally charged hero's journey, Dune tells the story of Paul Atreides, a brilliant and gifted young man born into a great destiny beyond his understanding, who must travel to the most dangerous planet in the universe to ensure the future of his family and his people. As malevolent forces explode into conflict over the planet's exclusive supply of the most precious resource in existence-a commodity capable of unlocking humanity's greatest potential-only those who can conquer their fear will survive. 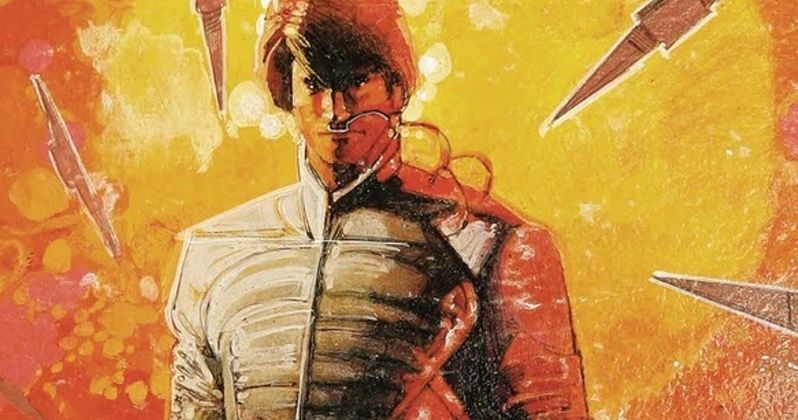 The Dune remake stars Timothee Chalamet as Paul Atreides, Rebecca Ferguson as Lady Jessica, Oscar Isaac as Duke Leto Atreides, Josh Brolin as Gurney Halleck, Stellan Skarsgard as Baron Harkonnen, Jason Momoa as Duncan Idaho, Zendaya as Chani, Javier Bardem as Stilgar, and Charlotte Rampling as Gaius Helen Mohiam. Chang Chen is reportedly in talks to play the role of Dr. Yueh. This is a pretty impressive cast that should be able to get Denis Villeneuve the performances that he needs. There is a lot going on in Frank Herbert's complex novel and Villeneuve has a lot of ground to cover with such a huge list of characters. The Holy Mountain director Alejandro Jodorowsky originally tried to bring Dune to the big screen in the 1970s. Jodorowsky famously wanted Surrealist artist Salvador Dali to star in the movie and the artist agreed, but only for $100,000 per-minute of screen time. The eccentric director was taking liberties with the source material, but he and Frank Herbert remained close. Ultimately, Jodorowsky could not find a studio to back the project. Denis Villeneuve is directing Dune from a screenplay he co-wrote with Eric Roth and Jon Spaihts, which is based on Frank Herbert's novel. The film is being produced by Mary Parent, Cale Boyter, Joe Caracciolo, and Villeneuve. The executive producers are Tanya Lapointe, Brian Herbert, Byron Merritt, Kim Herbert, Thomas Tull, Jon Spaihts, Richard P. Rubinstein, John Harrison and Herbert W. Gains, with Kevin J. Anderson serving as creative consultant. Brian Herbert and Kevin J. Anderson are consulting on the project. This news comes to us from Business Wire.